I've been digging into Century and Stern Brothers Comedies, figuring them to be a natural extension of my L-Ko research. I've run across several mentions of an actress credited as Ouida Hill, but I can't find anything about her anywhere, and her name doesn't pop up anywhere in Steve Massa's excellent SLAPSTICK DIVAS book. Have any of you ever heard of her? Might she have undergone a name change after a few co-starring roles. 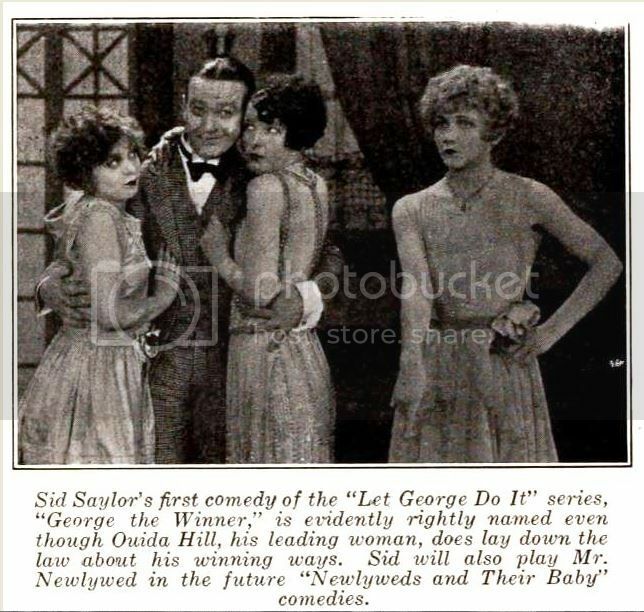 The two films I've found her credited in are HELPFUL AL (Al Alt, January 27, 1926) and GEORGE THE WINNER (Syd Saylor, September 8, 1926), an image from this latter film pictured below in case you recognize her as an actress who's gone by another name. Thanks for any assistance! Are we sure that isn't Thelma Daniels, who became the busy Stern Bros leading lady soon after that, they do look similar, particularly in hair style.